My buddy Nora (age 6) wrote very simply on one of the cotton candy sticks…it is love. And I think that said it all. 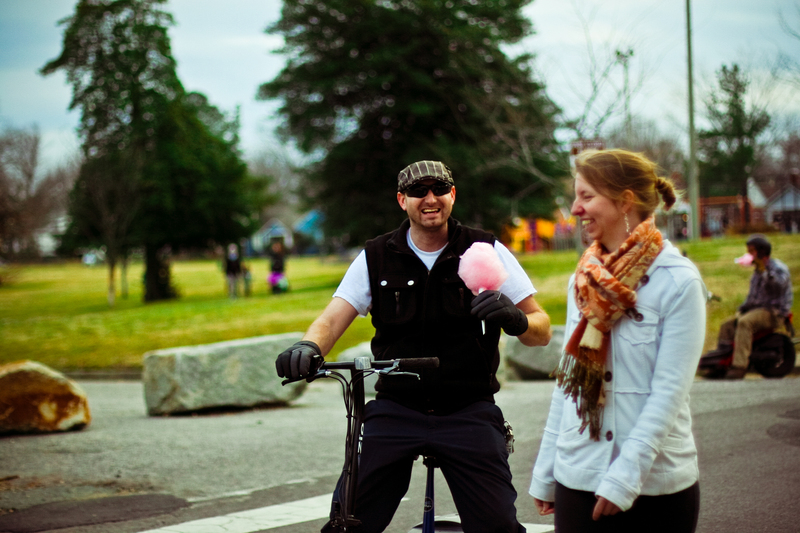 There were drive by cotton candy pick-ups. People bum rushed by gaggles of small children so excited to pass on the candy love. There was the most beautiful couple dressed in the most perfect vintage clothes walking away with their pink fluffy candy, like something out of a movie. There were neighborhood kids that came back for thirds. There were deliveries being made three streets over, valentine surprises met with so much delight. There were meltdowns from sugar crashes, it was perfect. It was a lovely, lovely day because…it is love. Thanks to all who joined us and those who joined us from a far with so much love, we felt it! GUYS! I forgot to tell you- It’s Random Acts of Kindness Week! I always forget it is a thing or a special week but we have a mission idea up for you every day over at the Guerrilla Goodness Facebook page if you want to play along!